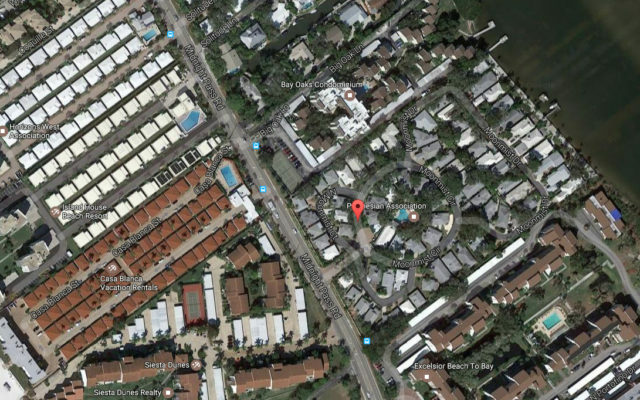 Lively debate ensued at the Jan. 12 Siesta Key Association (SKA) meeting when a resident of the Marina Del Sol condominium complex on Old Stickney Point Road brought up the County Commission vote last week to authorize staff to begin work on a proposed Comprehensive Plan Amendment that could lead to a new hotel on Siesta Key. “Are you people involved with this?” Ed Kroninger asked the SKA board members, noting that he had attended the Jan. 10 commission meeting when the matter was discussed. “We are following it,” SKA Director Harold Ashby replied. “We’re very much against it,” Kroninger added of the potential for a hotel on Old Stickney Point Road. “We had no idea there was a meeting,” Kroninger told the SKA board members, noting that a Siesta Sand newspaper article said few people showed up on Dec. 7, 2016. “We feel we have enough transient accommodations right now on the island,” he said. One of the Commercial General (CG) areas where a hotel potentially could be built if the amendment ultimately won county approval encompasses about 12 acres on Old Stickney Point Road; it includes the site of the former Fandango Café as well as a self-storage building. 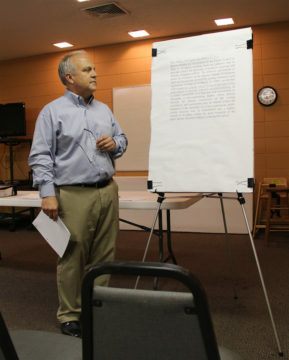 Kroninger said he and other Marina Del Sol residents have heard that the hotel proposal would entail a minimum of six stories at the intersection of Old Stickney Point Road and Peacock Road. Ashby then told Kroninger that the SKA board has not voted on a position on the Comprehensive Plan amendment. SKA Director Joe Volpe noted that he was one of the few members of the public who attended the Dec. 7, 2016 workshop. He took the opportunity to invite Medred and Bailey to make a presentation to the SKA, he said, but, thus far, they have not asked to appear at one of the organization’s sessions. “How can we possibly come to an intelligent conclusion?” Volpe added, referring to the lack of details offered about the potential hotel project. “They’re moving along on this thing,” Kroninger responded. Just the other day, he said, he saw surveyors on Old Stickney Point Road. Former County Commissioner Nora Patterson — a Key resident who stepped down from the board in 2014 because of term limits — pointed out that the Comprehensive Plan, as written, was designed to prevent an increase in intensity or density on the barrier islands. Although she was not familiar with the proposed amendment, she said, if it were not approved, a developer would have to purchase older structures and then replace them with a hotel or motel. It was ironic, Waechter continued, that an exception to the Comprehensive Plan had to be approved to allow the Marina Del Sol condos to be constructed. “And the neighborhood worked relentlessly to help get the Comprehensive Plan and the zoning changed so your home could be built,” he told Kroninger. “That’s because you didn’t want Bob’s Boathouse there,” Kroninger fired back, referring to a restaurant featuring live music that was the focus of numerous noise complaints before it closed. A later version of the business operated for less than a year on U.S. 41 South, on Phillippi Creek. “This is very helpful,” Ashby said of the discussion. 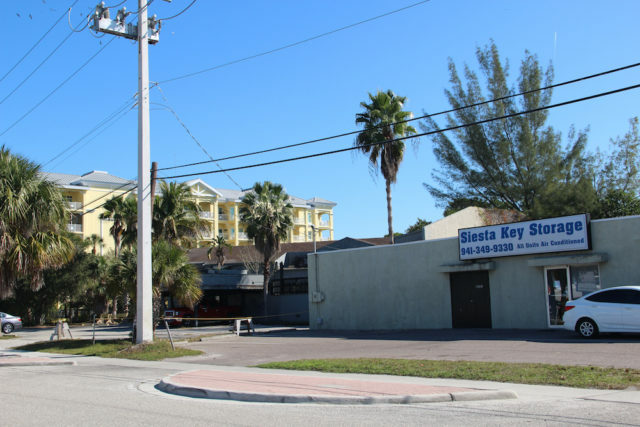 Just after the news broke late last year that a proposed Comprehensive Plan amendment could lead to a new hotel on Siesta Key, Lourdes Ramirez of Siesta Key Community created an online petition drive to stop the initiative. As of Jan. 16, The Sarasota News Leader found that 510 people had signed the petition; the page says 1,000 is the goal. A “Highlight” on the site, submitted on Jan. 2, notes that the 500 mark had been reached. 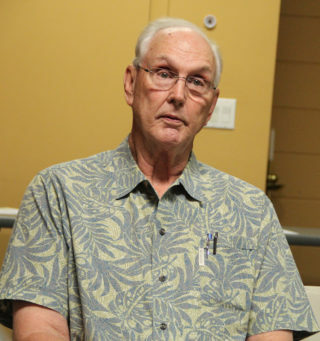 Charles D. Bailey III of the Williams Parker law firm in Sarasota — a member of the team seeking the Comprehensive Plan amendment — emphasized to the News Leader at a Dec. 7, 2016 workshop that no high-rise hotel was planned. Instead, he pointed out, a boutique hotel would be the goal. 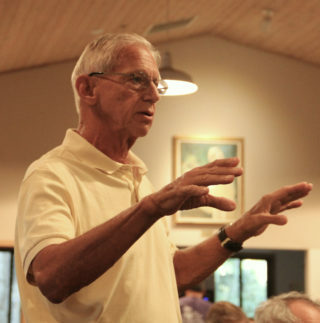 So many people showed up at the Jan. 12 Siesta Key Association meeting to hear the latest news about the Lido Renourishment Project that SKA Director Bob Miller had to go scouting for more chairs. The session was held in the Parish Hall at St. Boniface Episcopal Church, which is a fairly capacious room. Still, more people kept coming through the door, and volunteers kept setting up folding chairs until no more were to be found. When SKA Director Harold Ashby called on Miller to report on membership matters, someone responded that Miller was still out on his endeavor. 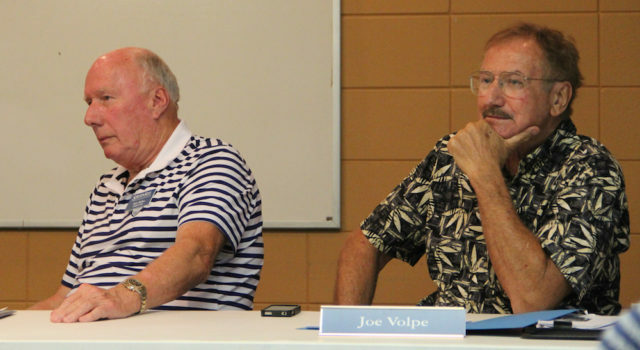 Siesta Key Association (SKA) Director Joe Volpe announced during the organization’s Jan. 12 session that the SKA will hold its annual breakfast meeting at 8:30 a.m. on Saturday, March 4, in the Community Center at St. Boniface. Each SKA member is entitled to two tickets to the event, he added; however, because of limited space, reservations are necessary. They may be made by calling 364-4880 or emailing info@siestakeyassociation.com. In just one day, he said, 120 renewals out of 280 transactions were rejected by credit card companies. Part of that probably was a matter of people having received new cards with the electronic chip system embedded in them, Miller added. Anyone who finds their membership did not renew automatically simply can sign up as a new member, and the SKA will make sure to correct its records so that person does not end up with double memberships, he told the audience. An email blast went out to members earlier this month, he said, to explain the situation. Break-ins at a few unoccupied units on Moonmist Circle in Polynesian Gardens were reported on Dec. 24 and Dec. 25, 2016, Sgt. 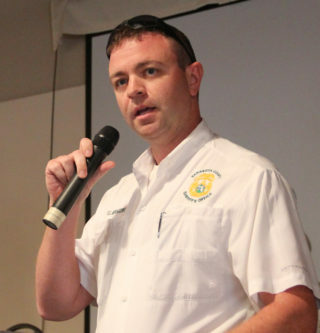 Jason Mruczek of the Sarasota County Sheriff’s Office told about 80 people at the Jan. 12 meeting of the Siesta Key Association (SKA). The Sheriff’s Office’s Forensics Unit did collect some evidence that detectives hope will help them arrest the perpetrators, Mruczek added. The Santa Stumble was sponsored by the Siesta Key Oyster Bar, Gilligan’s Island Grill, the Daiquiri Deck and Pizza Pi. When Mruczek asked for questions during the SKA meeting, no one posed any — an uncommon occurrence of late. “I’m sure in February and March there will be more in the report,” SKA Director Harold Ashby joked, referring to the two months that traditionally are the busiest on the Key. During the Jan. 10 County Commission meeting, Siesta resident Mike Cosentino complained that a county Code Enforcement officer had threatened island businesses with fines if they did not remove signs supporting his effort to overturn the commission’s May 11, 2016 vote to abandon a 357-foot-long segment of North Beach Road. 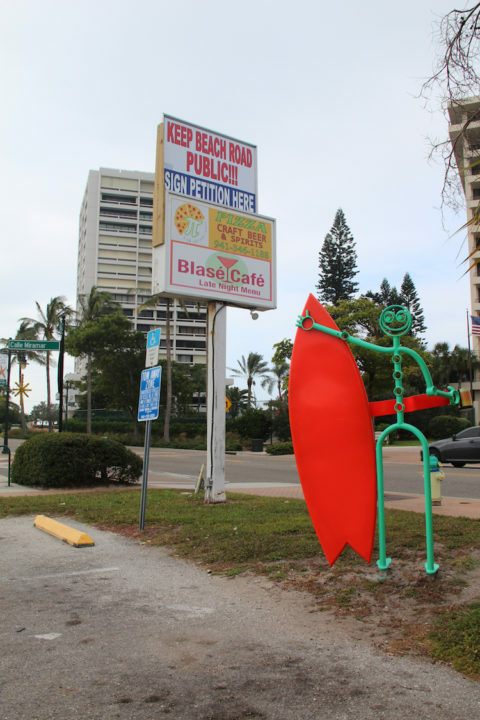 When the News Leader inquired about that Code Enforcement action, county spokesman Drew Winchester replied on Jan. 11 that Officer Susan Stahley, who works on Siesta Key, had provided details of Florida Statute 162 to businesses with those signs. In Sarasota County, violations are heard by a Special Magistrate. The ordinance also explains that if an inspector notifies an enforcement board that a violation has not been corrected by the set time — or if a repeat violation has occurred — the enforcement board “may order the violator to pay a fine in an amount specified in this section for each day the violation continues past the date set by the enforcement board for compliance, or, in the case of a repeat violation, for each day the repeat violation continues, beginning with the date the repeat violation is found to have occurred by the code inspector.! A May 2016 report to the County Commission regarding the county’s Code Enforcement operations explained that officers have focused on issuing courtesy notices about violations before handing out official Notices of Violation, in an effort to resolve situations without having to initiate the formal process that leads to a hearing before a Special Magistrate.